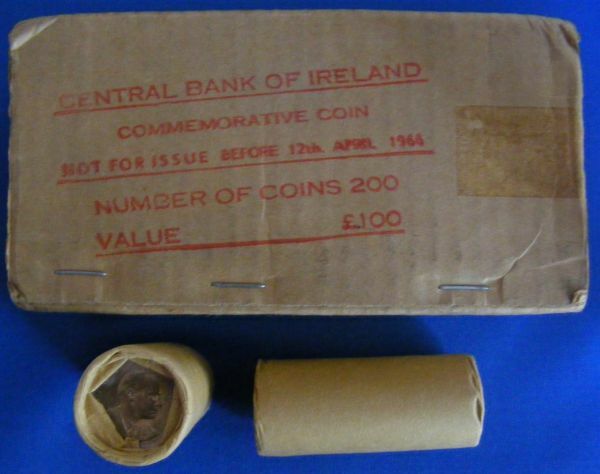 Original box with 10 rolls of 20 coins wrapped in brown paper. I recently acquired 2 of these and some loose rolls. The coins on either end of the rolls are toned as is usual, having broken one up all the other coins were BU. These boxes are quite rare, in 30 years of collecting I have only ever seen 7 boxes (including these 2).